Pictured: The roasted Hereford Prime ribeye was melt in the mouth tender at the YFC 50 Years Young celebration dinner. 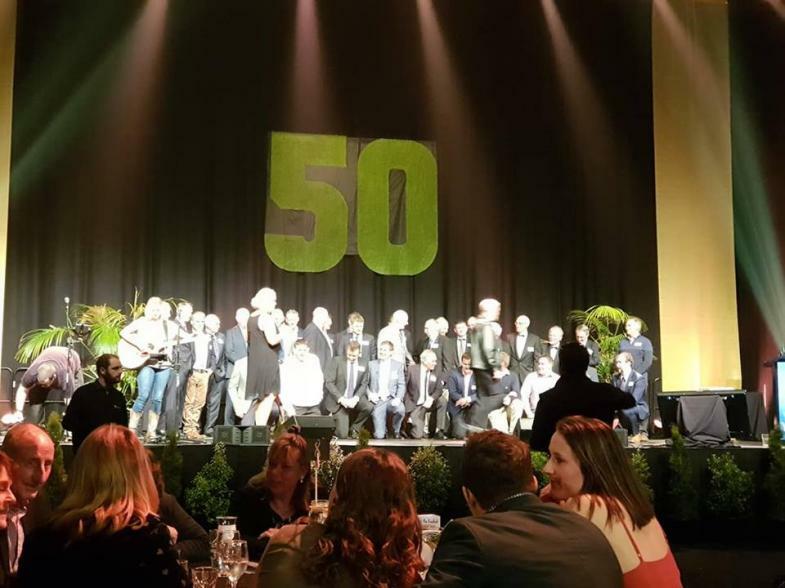 The celebration of 50 years was held at the ILT stadium and was attended by more than 500 people including Hereford Prime chairman Laurie Paterson and his wife Sharon. 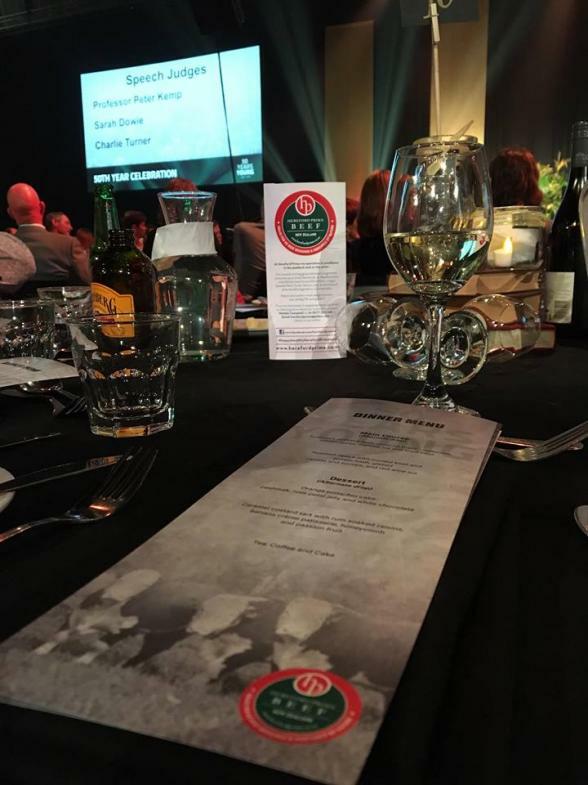 Laurie said it was an incredibly polished and well run evening with host Te Radar doing an outstanding job. Left: Some of the past winners who attended the launch of the YFC alumni in Invercargill. Right: The exposure for the Hereford Prime brand at the YFC 50 Years Young celebration dinner was outstanding. The meal was an alternate drop of Hereford Prime Beef and Southland lamb rump. 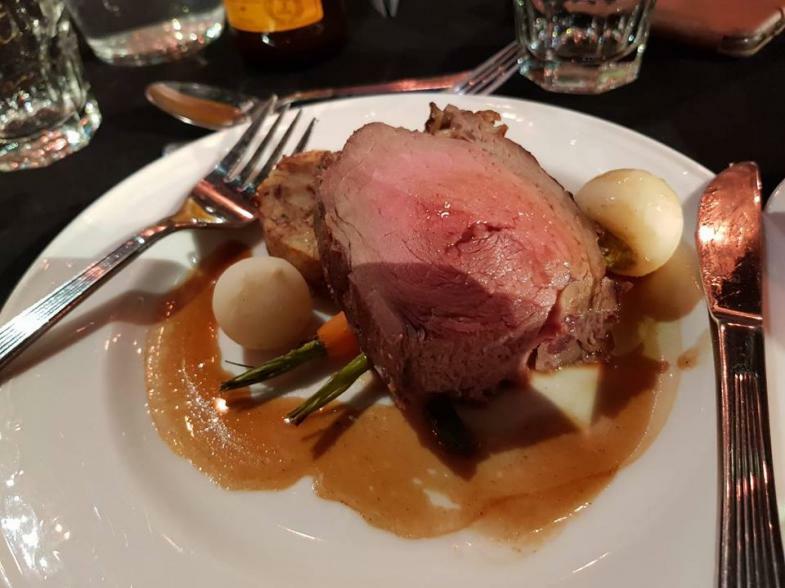 The Hereford Prime was sourced from Bowmont Wholesale Meats in Invercargill and the meal was prepared to Ascot Park executive chef Simon Henry and his team, who Hereford Prime has worked closely with in the past. “The board felt supporting the YFC was a great opportunity for the breed and brand to get in front of the next generation of farmers, managers and industry leaders,” said Laurie. “Bowmonts and Simon and his team, did a fantastic job – the beef was outstanding and we have received great feedback on our product following the dinner,” says Laurie. He also said, the board is looking forward to future talks with YFC to examine other opportunities for working together. The icing on the cake from the week, was when local South Otago/Southland entrant Logan Wallace was named the 2018 FMG Young Farmer of the Year. Logan is a sheep and beef farmer from Waipahi it was the second time Logan has competed in the grand finals.